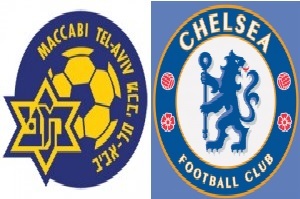 Maccabi Tel-Aviv against Chelsea on Tuesday. Chelsea is the big favorite in this game. They have 7 points after four games played. Maccabi is with 0 points after these four games. They have received 11 goals and scored just once. The team from Israel is terribly weak and with zero chances to qualify ( maybe imaginary). Chelsea on the other hand is taking the 2nd place in this group G. They are two points in front of Dynamo Kiev and their last game is against Porto. This is the right place and now is the right time for Chelsea to win. Especially after their terrible performance in Premier League this season.